* On Sale Now For A Limited Time Only * Make Your Mark With The Most Beautiful, 100% Customizable Watermarks Available Anywhere! 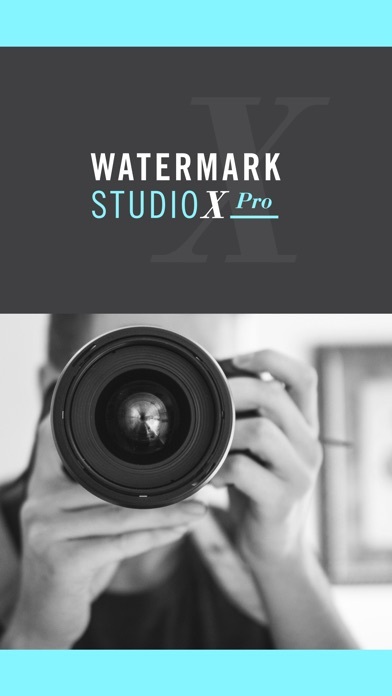 Watermark Studio X allows you to quickly and easily add a variety of professionally designed watermarks to your photos. 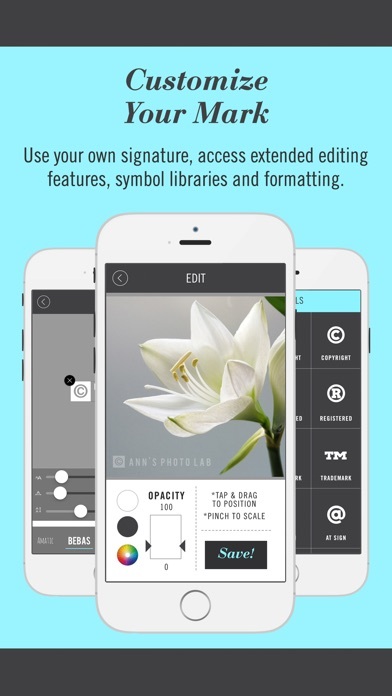 Protect and enhance your photography with these tasteful and discrete signatures. 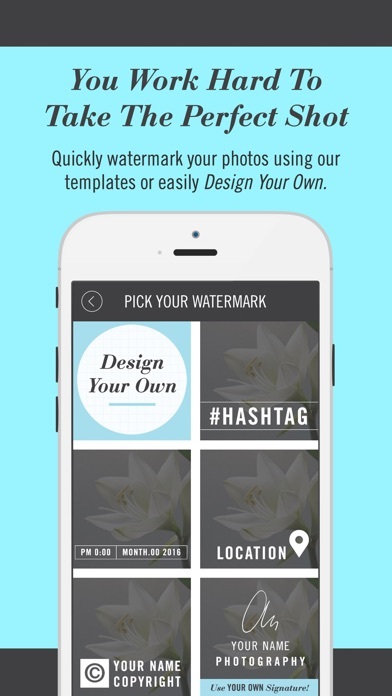 • Choose from pre-designed templates ranging from traditional copyright and registered marks to more modern watermarks like #Hashtag and Location • Customize the mark with your own information • Change color, opacity, size and placement * New templates being added all the time! For support issues, just email us at feedback@appholdings.org and we'll respond quick to help you out. Great use it all the time! It crashes. All the time. It would also be helpful to be able to batch watermark more than five photos at a time... when it doesn’t crash. I only payed for the full version to use the batch feature which should allow you to watermark multiple items at once but every time I try to use this feature the app crashes. I wouldn’t recommend buying this app. I’ve reached out to the creators and have gotten no feedback since. 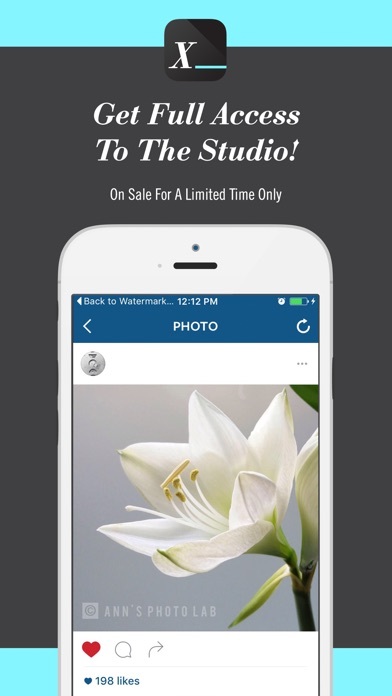 I’m really disappointed with this app as I thought I had found the perfect way to watermark my photography. I love the ability to upload my own watermarks or choose from existing editable ones. The only shortcoming of this app is that it sometimes lags when choosing a photo to watermark. Otherwise great! It was great at 1st. Now it’s no point. They have not fix the problem with the water marks and I can not use it. I even paid for the pro and it’s still not working. I paid for the full version and it was great but it no longer works since ios11.... money wasted I guess. The issues still aren't fixed and it just crashes constantly. 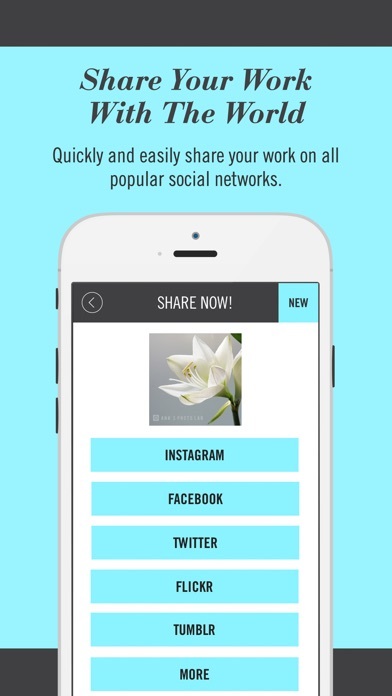 I bought this app so I could add my non profit logo to photos. A couple months ago that feature stopped working and the app keeps crashing. I emailed them with no response. Don’t buy this, they don’t fix anything.